Salman Khan's "Bajrangi Bhaijaan" and SS Rajamouli's "Baahubali: The Beginning" have a unique connection and that's KV Vijayendra Prasad, who penned the story of both the films. Vijayendra Prasad, who is the father of SS Rajamouli, met many people before Kabir Khan decided to direct ‘Bajrangi Bhaijaan’ with Salman Khan in lead role. 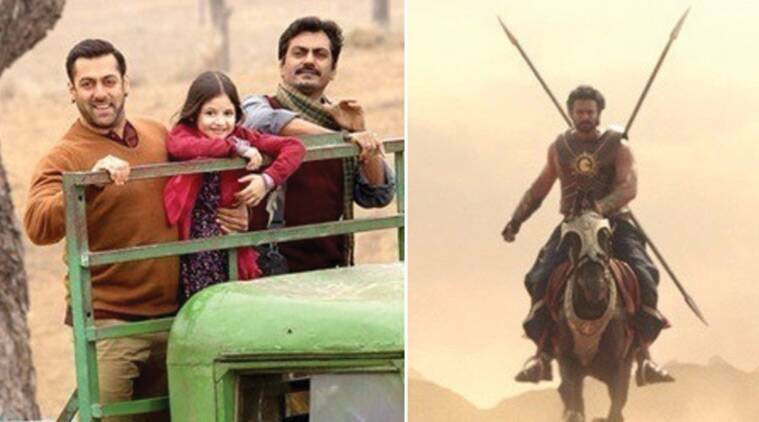 Salman Khan’s “Bajrangi Bhaijaan” and SS Rajamouli’s “Baahubali: The Beginning” have a unique connection and that’s KV Vijayendra Prasad, who penned the story of both the films. Vijayendra Prasad, who is the father of Rajamouli, met many people before Kabir Khan decided to direct the film with Salman in lead role. Prasad also shares the story credit for the 2012 Akshay Kumar starrer “Rowdy Rathore”, a remake of his 2006 Telugu film “Vikramarkudu” which was directed by Rajamouli. His other films include “Magadheera” and “Rajanna”. “Baahubali”, a sweeping, VFX-heavy, multilingual drama, released a week prior to “Bhaijaan” and has become the first South Indian movie to cross Rs 300 crore at the box office. Salman’s “Bajrangi Bhaijaan”, an emotional cross-border story about a Hanuman devotee’s journey to Pakistan to reunite a mute child with her family, is on its way to becoming a blockbuster and has already collected Rs 102 crore in its opening weekend.